To determine whether you are eligible for our HUD Section 231/8 senior housing, please access the link to our tenant selection plan. We subsidize all of our studio apartments and 15 of our 580 square foot one bedroom apartments. 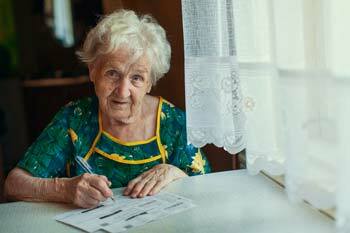 Waiting lists apply for both of our subsidized senior housing options. Please contact our Housing Manager at 360-696-4375 for information on the current status of either senior housing list. Once your senior housing application is processed and approved, you can request to be on one list or both lists at the same time. Our retirement home’s rent is income-based–approximately 30 per cent of gross annual income, medical deductions apply. For your own personal rent estimate, please contact our housing manager. In addition to rent, we have an Optional Meal Program that provides you with your main meal every day and is an additional $230 per month. Tenants are not required to participate in the optional meal program. Senior housing tenants also pay electricity and their own phone and cable costs. Included in your rent are several services including a secured entrance with 24 hour security at our front desk, emergency pull cords in your units, planned activities, use of our fitness room, art room, library, and more! Contact Knights of Pythias Active Retirement Center today!